NO PURCHASE OR PAYMENT OF ANY KIND IS NECESSARY TO ENTER OR WIN THIS PROMOTION. A PURCHASE WILL NOT INCREASE YOUR CHANCES OF WINNING. 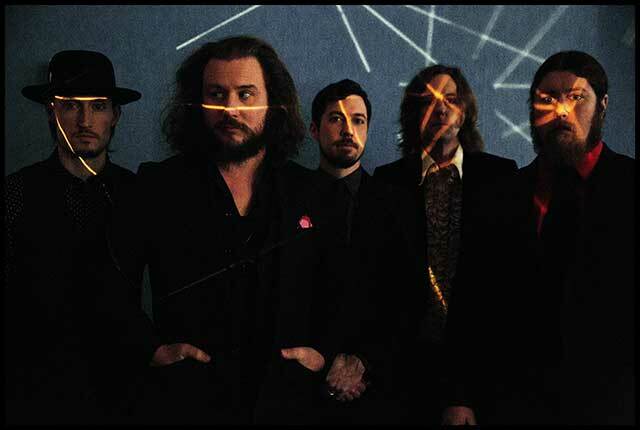 DATES OF PROMOTION: The My Morning Jacket 5 Day Giveaway (the “Promotion”) begins at 12:00 a.m. Central Time (“CT”) on December 16th, 2014 and ends at 12:01 a.m. CT on December 23rd, 2014 (the “Promotion Period”). ELIGIBILITY: The Promotion is open to fans worldwide, who are at least thirteen (13) years of age or older at the time of entry (the “Entrant”). HOW TO ENTER: Follow each daily task and clue to the entry form on www.mymorningjacket.com Regardless of the method used to obtain entry into the Promotion, there is a maximum limit of one (1) entry per person per day, during the Promotion Period. PRIZES: One winner will be chosen at random for each day of the contest. The daily prize will be announced on My Morning Jacket social media sites the morning of that day and will vary by day. The daily winner will be contacted via email and the prize will be mailed to them within the next week. If the winner does not respond within 48 hours of being contacted, the prize is no longer available to them. GENERAL CONDITIONS: By participating in this Promotion, Entrants agree: [a] to abide by and be bound by these rules and decisions of Sponsors which shall be final in all respects relating to the Promotion, including without limitation the interpretation of these rules; and [b] if a winner, to the use of their name, voice, image and/or likenesses for advertising, publicity and promotional purposes by Sponsor and Sponsor’s subsidiaries and affiliates without notice or compensation of any kind (unless prohibited by law) and to execute specific consent to such use if asked to do so. Should any portion of the Promotion be, in Sponsor’s sole discretion, compromised by non-authorized human intervention or other causes which, in the sole discretion of the Sponsor, corrupt or impair the administration, security, fairness or proper play, or submission of entries, Sponsors reserves the right, at its sole discretion, to cancel, terminate, modify or suspend the Promotion and conduct the Promotion in a manner which in its sole discretion is fair, appropriate and consistent with these Official Rules. Notice of such action by Sponsor will be posted at www.mymorningjacket.com. In such event, Sponsor reserves the right to award the prizes at random from among the eligible entries received up to the time of the impairment. Sponsor reserves the right in their sole discretion to disqualify any individual it finds to be tampering with the entry process or the operation of the Promotion or to be acting in violation of these Official Rules or in an unsportsmanlike or disruptive manner. Sponsor reserves the right to disqualify or reject any incomplete, inaccurate or false entry. ANY ATTEMPT BY ANY PERSON TO DELIBERATELY UNDERMINE THE LEGITIMATE OPERATION OF THE PROMOTION IS A VIOLATION OF CRIMINAL AND CIVIL LAW, AND, SHOULD SUCH AN ATTEMPT BE MADE, SPONSOR RESERVES THE RIGHT TO SEEK DAMAGES FROM ANY SUCH PERSON TO THE FULLEST EXTENT PERMITTED BY LAW. SPONSOR'S FAILURE TO ENFORCE ANY TERM OF THESE OFFICIAL RULES SHALL NOT CONSTITUTE A WAIVER OF THESE PROVISIONS. Entry information becomes property of Sponsor. All federal, state and local regulations apply. RELEASE: By participating in this Promotion, Entrants agree to release and hold harmless Sponsor, Prize Provider and each of their parent companies, respective officers, directors, managers, employees, subsidiaries, affiliated entities, agents, members, shareholders, insurers, servants, guests, divisions, predecessors, successors, representatives, assigns, attorneys, dealers, distributors, advertising, promotion, and fulfillment agencies, including the Independent Administrator, (collectively, the “Released Parties”) from and against any claim or cause of action arising out of participation in the Promotion or receipt, redemption or use of any prize. LIMITATIONS OF LIABILITY: The Released Parties do not have any responsibility or liability whatsoever for: (i); unauthorized human intervention in any part of the entry process or the Promotion; (ii) electronic or human error which may occur in the administration of the Promotion or the processing of entries; (iii) any property loss, damage, personal injury, or death, in connection with the prizes provided pursuant to this Promotion and/or any person’s participating in the Promotion; (iv) any printing or typographical errors in any Promotion-related materials; (v) stolen, lost, late, misdirected, corrupted, incomplete, postage-due or indecipherable entries; or (vi) technical failures of any kind, including but not limited to the malfunctioning of any computer, mobile device, cable, network, hardware or software. SPONSOR: This Promotion is being sponsored by My Morning Jacket, Inc., 15 West 26th St. 12th Floor, New York, NY 10010. This offer shall not be published without the written permission of the Sponsor.